parents and caregivers deserve and expect accurate, timely information to make one of the most critical decisions they have — who cares for their child when they are away? Child care is a critical support for parents who want to educate themselves, work hard and provide for their families. Likewise, tragedies involving children in child care settings like those outlined in the Wall Street Journal piece make it so clear that child care systems need to do more to ensure the safety and health — both physical and mental — of the children and child care providers in these systems. There are over 11 million children in some form of child care each week in the United States — and most of them are safe and sound. But as the heartbreaking stories in the Wall Street Journal show, there is still more work to be done to keep all children in care safe. Each state has their own requirements for who can provide licensed child care, for the types of training in child health, safety and child development, and for how caregivers should teach children important skills like problem solving and how to calm down when upset. 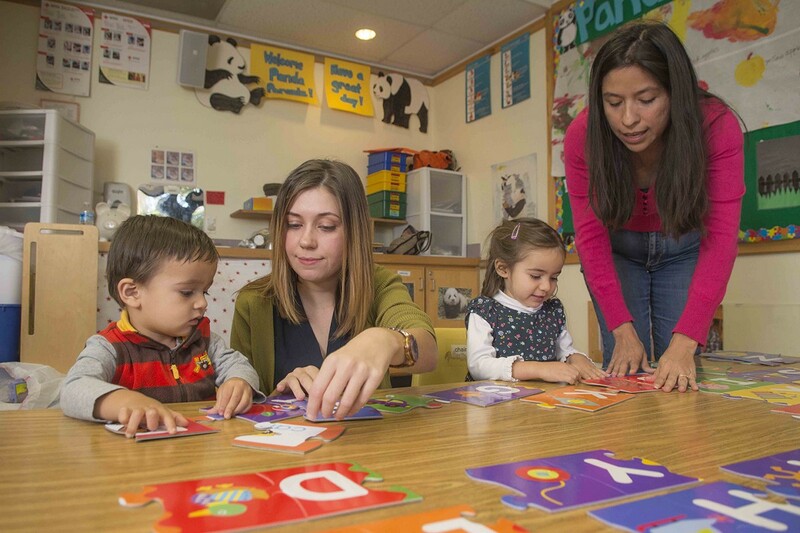 A federal program known as the Child Care and Development Block Grant (CCDBG) provides funds to states so low-income families can better access quality child care. CCDBG is also critical because it requires states to help all families find affordable and safe child care. While websites like Care.com offer parents easy access to a list of potential caregivers on your phone or tablet, the onus remains on families to make sure that the caregivers on the website are safe. The problem is, for first time parents, you might not even know what to look for. What questions should you ask of a potential child care provider? What should you prioritize when sifting through the various types of child care available in your state, such as family child care or day care centers? And wouldn’t it be great if there was an entity that could help you find a list of potential child care providers who are meeting state requirements for health and safety? Thankfully, such an entity does exist — and it’s free to parents who want to use it. Child Care Resource and Referral Agencies are in every state, and they serve as a free hub for parents, connecting them with licensed or registered child care providers in their area. Want something close to work? They can help search by location. Want to make sure that the provider can take an infant and a preschooler? They can search by age range. Finding care for a child with special needs? They can find the programs that do that as well. And again — all of this is free. No hidden costs for “enhanced referrals.” We know that when all children and families have access to quality care, regardless of their income, all communities thrive. The best part? Resource and Referral Agencies have relationships with child care providers in your state, and provide them ongoing training and professional development. Resource and Referral Agencies are the organizations that keep child care professionals up to date with current best practices that help children reach their full potential. This is because in 2014, for the first time in decades, Congress put additional muscle behind CCDBG. CCDBG’s new authorities and funding means that states must have health and safety standards and training on child care topics like immunizations, recognizing and reporting abuse and neglect, traumatic brain injury, and medication administration. CCDBG also requires that states conduct more monitoring checks of licensed providers and more comprehensive background checks on providers. It is these kinds of changes that can help prevent the tragedies that befell Elyssa, Elijah, Cash, and too many others. But background checks and monitoring visits of child care providers are just the basics. What Child Care Resource and Referral Agencies offer in addition to these basics are the tools that providers need to provide nurturing, quality care. Children spend a lot of time in day care, and we need to make sure that we are supporting providers to give them quality care. Wouldn’t it be great if across the country, in all our communities, we demanded that state systems provide trainings and supports for child care providers on social emotional health, focused on both the children and the providers? You can. Sign the pledge to fight for access to high-quality, safe, affordable child care for all families at ChildCareWorks.org. Being a parent to an infant or small child can be overwhelming. While parents share the responsibility for making sure the people taking care of their children have what it takes to keep them safe, we can and should do more to support parents. Even if you know what to look for, it may be hard to find the answers to questions about things like background checks, licensing status and other elements of safety. It’s not enough to assume that parents will, on their own, know or understand that those screenings are not taking place when finding care. And in fact, other business models that match consumers with independent contractors that provide a service, companies like Lyft and Uber, conduct screening and make sure their independent contractors meet minimum safety requirements. Care.com should too, or at minimum, should point parents to resources like those at www.childcareaware.org. The movement for affordable, high-quality child care for all, while supporting the child care workforce.